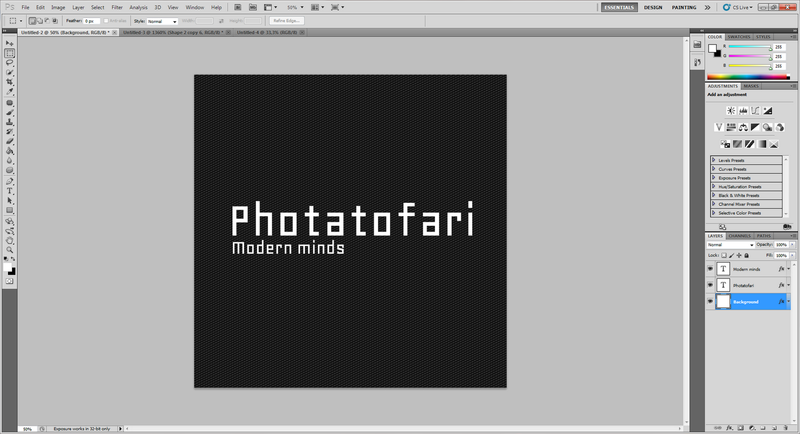 Start photoshop, and click file>new. Just make it the size you want. 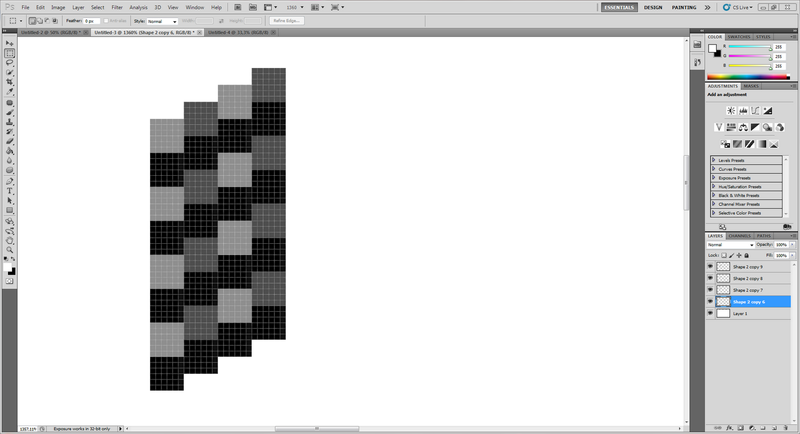 In this tutorial I will use 1500 x 1500 pixels, and a resolution at 300 pixels/inch. 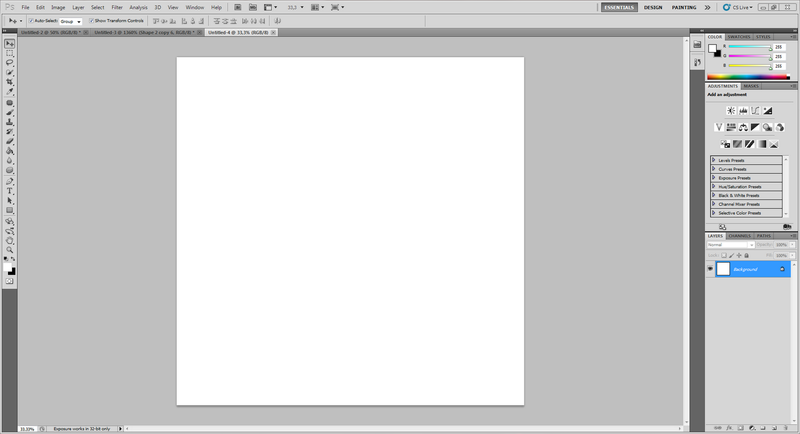 Now right click on the background layer and “chose Layer for background”. (Or DoubleClick) Choose a name and click “OK”. Create a new document again, and make a texture with light, grey dark grey and black like this. This wil be the The pattern we shall use as backround. Now choose a square like in the image below with the selection tool. Then click edit>Define pattern and name it whatever you want. Go back to the first document you have created. Right click on the Background layer and choose “pattern overlay”. 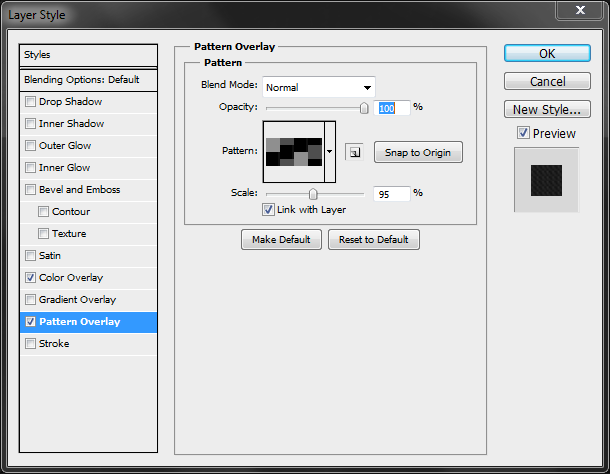 Choose the pattern you have made and make the opacity to 100% and scale to about 95%. 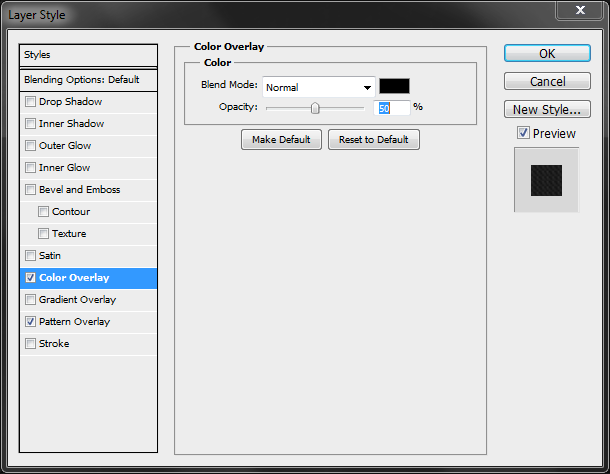 Then choose in the same window “Color Overlay”. Set the blend mode to Normal and the opacity to 50%. Then click “OK”. 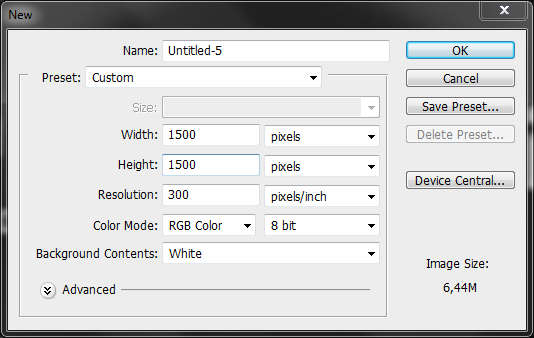 Add some text, right click on the text layer and choose “Blending option” again. 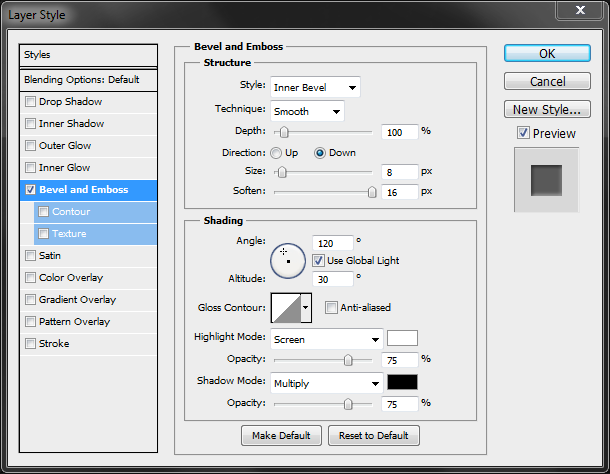 Choose “bevel and emboss” and type in the folowing values as showed in the picture. 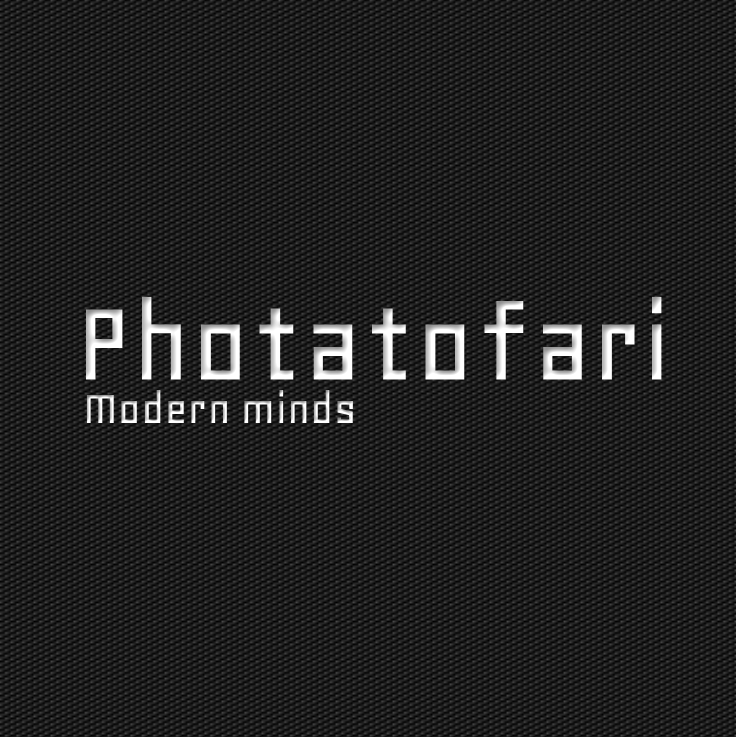 I will recommend you to try out difrent things by yourself. This wil often get much better. Now you have finished the image. 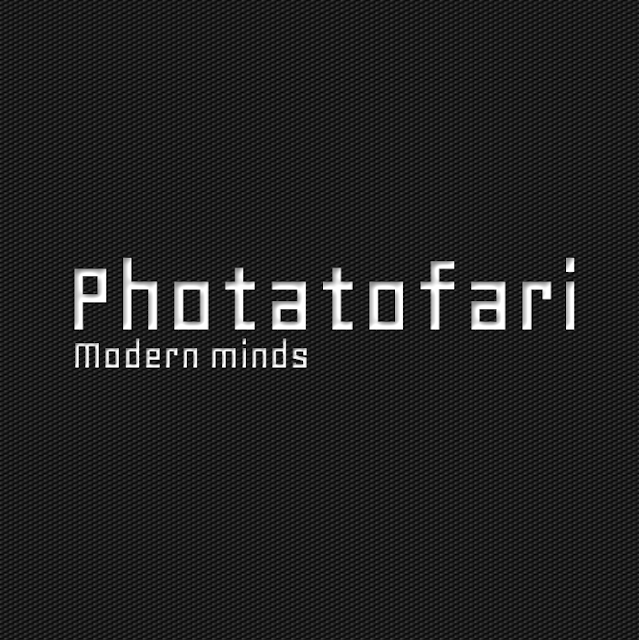 This is an very easy and basic tutorial, with no big effects etc. But this gives you a taste of how you make a custom pattern, and how this can make the difference from a boring text to a good one.